Who said that we had to be practically experts to explore the depths of the sea? This tour provides us with a little time to get to know the basics so we can dive even if we do not have a diving license. The magic of the world of abyss is no longer just a mirage. Thanks to this educational tour, even if we do not have a license, we can see the beautiful underwater universe up-close. 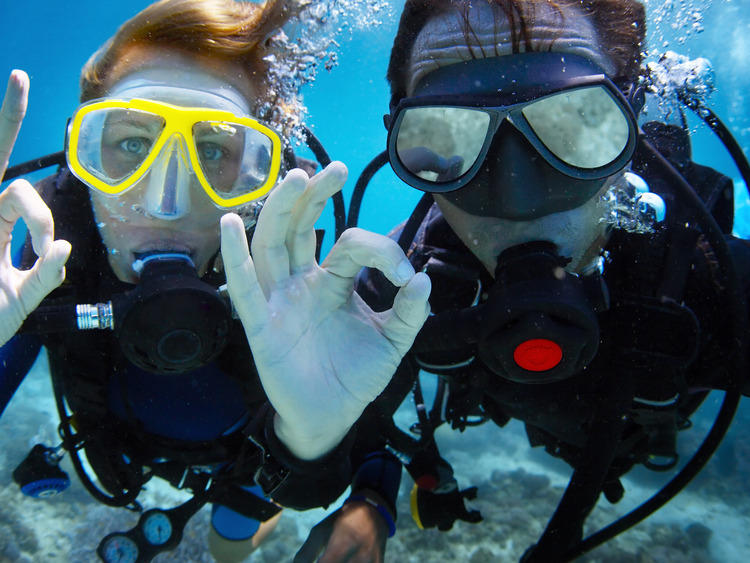 A divemaster or instructor with PADI license will provide all the instructions on basic diving theory and the techniques needed to implement it. After having successfully completed the planned diving exercises, we will tackle a tour of the cliff. We will be able to admire the marvellous colours of the coral reef, the hordes of rays and the various fish species, all within a sea with minimal or no currents, with a constant water temperature of 28 °C, in complete safety. The feeling is one of flying on the coral reef, with the possibility of discovering the extraordinary flora and fauna of the Caymans Island without having to complete a long and demanding course. The perfect occasion for snorkelling enthusiasts who want to experience the emotions of exploring in complete freedom. To take part in this excursion you must know how to swim and be physically fit. This excursion is not recommended for passengers who suffer from sea sickness or who have mobility, heart or breathing problems or back problems. Participants must complete a questionnaire before taking part in this excursion. Minors under 16 years of age must be accompanied by an adult.